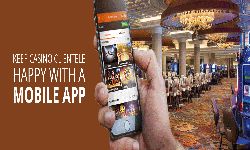 How to kickstart an online mobile betting app? More than a decade ago, the online betting or gambling process came into limelight. People find it more risky to visit any online websites or physical shops to do betting activities. Betting is an old age traditional process which has took a complete transformation into a digital world of gambling where gamblers can win or lose within a single tap. What are the benefits of having a Real Estate Mobile App? Real estate is a leading business sector. Introducing an app to in real estate field can improve the quality and efficiency of the real estate business. It's time for agents and clients to take up and setup this marketing advantage tool.Gone are the days where people have to visit the properties directly for buying. We live in the era where people are totally dependent on mobile apps. The rate of mobile searches have immensely increased over desktop searches.The emergence of real estate mobile apps can bring positive changes to both buyers and sellers. Chatbots implementation can improve the real estate business.They have a major role in increasing the real estate business leads. The rise of chatbots in this field could improve the lead generation and is completely easy for both the buyers and sellers. Why Chatbots are Important for eCommerce Business? Chatbots are one of the most commonly used automated programmes, adopted by almost all industries. They perform repetitive and mundane work at faster rate than human. Chatbot for ecommerce website have a major role in the platform. Automation in every sector is the need of the hour.Most of the companies have already adopted the implementation of chatbots. One of the main field in introducing chatbot technology is the insurance industry. Insurance industries comes with multiple questionnaires most of them are monotonous and drawn-out. Chatbots are self-automated software which resembles each activity of the human using artificial intelligence. Chatbots are preprogrammed with a set of data. Since smart phones are ruling today's world, interacting with a chatbot is not such a complex task.They become the imitators of human conversations over the internet and have multiple implementations. The immediate responses makes the chatbots more friendly to the users. Chatbots have multiple purpose one of the main purpose is that they can help in giving a huge customer support. Almost every brands are hung on social media, chatbots are chosen over such a platform because most of the customers are lively active. With the advancement of a mobile device, digital signage has full-grown from substituting posters with LCD screens .Digital signage on its own has facilitated increase brand awareness, improve in-store experience. Actual digital signage is built on a wide-ranging media strategy that offers brands with bottomless insights on their customer base, letting them to match the target audience with the right message at the right place, at the right time. At this point beacons arise into the picture. Make your visitors surprised when next time they visit your zoo or theme park and are greeted not by a human but by a technology and during the whole tour they don’t even come across the human interference neither to gain information about an animal nor to locate new ride, friends etc. A thrilling experience, isn’t it? Yes, use beacon technology to escalate your visitor experience and improve their interaction level. 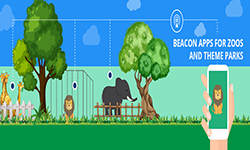 There is a lot of cool things that you can do with a proximity beacon in your Theme park or Zoo, like track visitors movements, promote food sales and any other thing sold within the Theme Park or Zoo etc. If you are trying to build a direct relationship with your visitors for long. Beacons engaging mobile app is the best choice for you. In this digital age smartphones are everywhere and for any task, you can think of, an app exists to perform it. Mobile apps are taking over the world with no matter what industry or sector. However, the hospitality industry is no exception. We know guest service is the king in the hospitality industry. They always expect a superior service experience. So that they are using their smartphones for all most and everything. 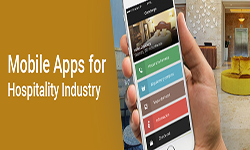 A hotel mobile app can redefine your guest or visitor experience and improves the important part of your hotel or hospitality service mechanism. How your hotel or resort leverage mobile platforms for hotel operations, branding, guest loyalty, marketing, advertising, cross-selling, and so on? Today, more managers are relying on employee shift scheduling software to streamline their business and eliminate headaches. Why do companies need this software so urgently, and so suddenly? If you are the manager of a small, medium or large IT company that’s open for fourteen or even twenty-four hours a day, how do you schedule your employees shift? If you're still using pen and paper or Excel for shift planning or scheduling then, you can realize how scheduling could become a nightmare very quickly. It is tempting to jump to find a solution for scheduling problems. Then, a right solution to this dilemma is an employee shift scheduling software.This is why IT companies adopting shift scheduling software for their long or multiple shifts. In today’s age of the connected traveler, most of the passengers rely on their mobile phones is fuelling the growth of smart airports. It's been estimated around 90 percent of all smartphones today is Bluetooth enabled. So airports and airline operators can connect with passengers through their smartphones. But how? Beacon the small Bluetooth low energy device coupled with connected smartphones at airports can enhance the overall experience of the passenger as a means of interpreting, predicting and serving their needs. Right now only around 9% of airport use this smart airport technology, largely as a means of informing passengers of details such as boarding gates and flight times. Technology is now developing at a rapid pace. With these innovations, every industry is moving towards the digital world. It seems to be expensive, but it can be judged as a long-term investment that helps businesses in a dramatic way. Do we need a Smart City? Before answering this question, it is important to understand What a Smart City is and Why we need Smart City? Cities are having a great impact on the economic and social development of nations. They are the actual platforms where people live, where companies have their business and in which countless services are provided. From retail to the healthcare every industry are now popping up with the Digital Signage. Digital signage advertising is the most effective tool in proximity marketing to deliver new, targeted messages to the consumers. But what is Digital Signage Advertising Network Software? And what makes it as a powerful tool, from other types of digital signage? Let's check out. Today one of the main challenge faced by the corporates are “employee engagement”. Based on studies conducted over the recent years, it has been revealed that companies with an engaged workforce are more productive and more profitable. Digital signage for companies can help you engage your workforce for this success. One of the things that schools and colleges should invest today is a digital signage.It is an essential tool for them to reach their audience instantly in a dynamic and eye-catching format. Whether large or small schools, universities or colleges it's important to engage students, faculty, staff and visitors on a daily basis, so digital signage is a very powerful visual messaging solution to bridge a gap between students and faculties or staffs to communicate more effectively and efficiently. Without any doubt, we can say that technology had made a lasting impact on all sectors. People today expect to be able to find and access information from wherever they are. This makes challenges for the libraries and deeply impacted its structure – physically as well as conceptually. Because of this reason, most of the libraries across the country have increased the number of computers, onsite Wi-Fi to check out books to use inside the library.But in today's digital world simply focusing on increasing the number of system or space of the library is not sufficient. Early Beacons have only been rolled out in places like restaurants, hotels, airports, museums, and retail outlets in malls for achieving objectives varying from user movement tracking to event management. But now Beacon technology is being used in the home to bring low-cost smart home infrastructure to the masses. This can also directly applicable to an office environment to reach max productivity, efficiency, and cost savings. Innovation in the smartphones and digital technology space is making a marked impact on education. Industries like Retail has led the way with utilizing beacons to engage their customers while shopping inside their stores. It's not unexpected that Beacons are used in education to progress the student personalized learning experience. The beacon technology in education can enhance the classroom presence, access to the houses, give more personalized learning experience, optimization of campus strategy and help to pathway students in case of difficulties. In this digital era mobile health has become an indispensable part of healthcare industry, be it patients or healthcare providers. Beacons and Internet of Things( IoT) in healthcare industry is an increasingly hot topic, but what will the future really look like? Can smart beacon technology lead to better healthcare security and compliance? Just go through some use cases for beacon IoT in healthcare. The Mobile Technology may have been changing politics in myriad ways. According to the Pew report, 68% of smartphone owners now use their phone to follow along with breaking news events. In fact, the new technologies have the power to change the face of politics. So, it's necessary for candidates to keep up to date with new technology or innovative ideas for election campaign otherwise, they will be viewed as outdated and irrelevant. The use of smartphones has fully revolutionized the way of shoppers. 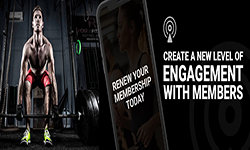 In Order to improve the customer's experience, to drive revenue and to increase the operational efficiency, retailers are now utilising the location based proximity marketing solution called Beacon Technology. The real estate industry is undergoing a prime transformation. The reason behind this transformation is, the home buyers are moving towards mobile technology. Searching for properties online, shortlisting, visiting etc are quite frustrating for property buyers. In this mobile era, each and everyone is glued to their smart phones. This makes people lazier and addicted to their digital equivalents. With the evolving of mobile technology, Visitors who enter enclosed public spaces like galleries, malls, airports, and museums are decreasing day by day. All of them are expecting to receive a mobile experience that is highly useful, convenient, and delivered in a timely and seamless manner. Beacons have been generating buzz and making headlines for a couple of years now. These are small, low-cost pieces of hardware, which is a small low cost and battery powered location-based technology device that transmits a signal using Bluetooth Low Energy. Recent customers expect forward-thinking wayfinding and indoor navigation. They need GPS within houses and small spaces. Can BLE beacons make it come about? BLE Beacons Bring New Potentials to Wayfinding and Indoor Direction-finding. Beacons are small Bluetooth devices that can interconnect with smartphones. Food is all about the intellects. We love savoring food, tasting it, touching it and sighting it. Buying groceries is no exception. That's why retail digital signage is extremely practical for grocery stores or else supermarkets. They'll help your customers to see the products you deal or those on sale, even before they come inside. Digital signage is great option to any business. Especially it is useful in cases where your clients may have to do some waiting. Make busy them by improving the salon atmosphere. Just captivate your customers with your catchy offerings. With an easy-to-manage virtual portal, you can make day parted and periodic scheduling, or make quick content alterations with a hardly any clicks. Nowadays Digital signage is rapidly becoming a crucial part of the attendee experience. It is well-organized, cost-effective, and offers a professional look to a conference. It has a higher pictorial impact, with the knack to deliver creative content. It is flexible with high-tech integrations and empowers the measurement of success with ease. Elevator displays are usually located in buildings. From here you can properly grasp the attention of your business viewers. It is an easy way to provide targeted ads that will appeal to your audiences. Thus, Digital Signage in elevators of a marketable or domestic building has the potential to rise, your customer base. For example The building's food court can use a rapid sales lift by showing special menu in Digital Signage Display on elevator. Museums are a place to walk around an interest, spark motivation, and study the past. In this industry, it has converted more and more important to keep growing or run the risk of dropping visitors otherwise funding. Digital displays can boost your museum's architecture, produce a spectacular digital media experience and distinguish your donors and sponsors. With striking visuals and dynamic messages, digital signage exhibitions capture your tourists' attention. In this day and age, brands are looking for distinctive methods to engage with customers. Now the question arises that, in an ad world, how can brands stand out and mark customers pay attention to their message? Yes, by going visual. Exactly for that Digital Signage can make the change, as it captures 400% more views than static signage. Digital signage is known to a new way to offer audiences the attractive information. From retail to healthcare, many industries are starting to control the many profits of digital signage. As the digital signage trend is growing, travel and tourism groups are encouraging travelers to travel around their destination. 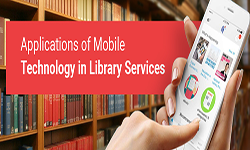 A mobile app provides you a capacity to reach customers 24 * 7. Isn't it great where in your mobile app is competent to make business even if your office hours are closed or else you just happy vacationing? In the present day is the epoch of the smartphone and Internet. The people devote more time on their smartphones than on televisions as per the reputed surveys. Henceforth it is a good idea to have mobile apps for your small business.